Jeff and his staff were awesome. The work was done very professionally and most importantly to me, they took the time to thoroughly explain the completed work, suggested work that could be completed at the same time, and actually talked me out of getting work done (that was recommended by a different shop) as it wasnt necessary. This is the first time that Ive actually trusted a car shop. Thanks guys and keep up the great work. I have consulted with Jeff at Turn 3. Even when what I wanted he couldnt necessarily do, instead of BSing me to try to keep the business (and make a quick buck) he immediately referred me to someone who could help me. That kind of honesty wins my lifelong loyalty every time. Its what is generally lacking in modern businesses. Knowledge staff, friendly, awesome quality service. If you have a Porsche, or are looking to modify a VW or other European car Id highly recommend talking to these guys. They specialize in track set up and they really know what they are doing. Owner was very helpful. Quickly diagnosed my problem and knew exactly what needed to be done. They specialize in Porsche which gave me peace of mind as well. 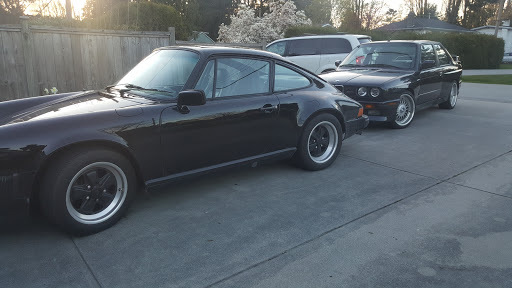 Had a great experiencing getting my 84 carrera engine rebuilt .